← Book Review – Home Fire. The title is a quote from The Dalai Lama. Way back in 1978 I was burning both ends of the candle and a very dear friend put me on to Transcendental Meditation to prevent me from self-destructing. I found it very helpful and became an evangelist for it with the zeal of a typical convert. I subsequently moved on to Vipassana Meditation and have stayed with it for over 34 years now. In between, I also learnt Yoga Nidra which I take recourse to on and off at need. I had learnt all three techniques from trained and qualified teachers. Having explained my qualification and experience to write about meditation let me come to the topic and what I think that the Dalai Lama meant with that quote. Meditation of all three techniques listed above takes one into stages of conscious awareness and deep silence. Properly and regularly practiced, this takes one to a lifestyle free of tension and anxiety. It helps if one also follows some kind of spiritual / religious life, though not necessary as a precondition. In sleep one goes through stages of awareness, dream states and deep sleep sans dream stages. Exactly the same sequence that one goes through in meditation albeit with full consciousness. I suspect that the Dalai Lama wants to convey the need to sleep effectively to recharge one’s battery as it were, which is what meditation does. If one cannot meditate, at least proper sleep should be sine qua non for a stress free life. 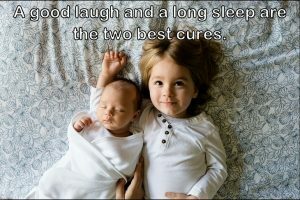 If one is blessed with both, so much the better! I have suggested this topic for this week’s 2 on 1 Friday blog posts where Shackman and I write on the same subject. Please do go over to Shackman’s blog to see what he has to say on the matter. This entry was posted in Blogging, Meditation, Religion, Spiritualism and tagged Transcendental Meditation, Vipassana, Wikipedia, Yoga Nidra. Bookmark the permalink. 27 Responses to Sleep Is The Best Meditation. What of replacing sleep with meditation? That is being studied now. I am not qualified to speak on meditation though I have made several feeble attempts to meditate. I definitely need to work at it more seriously. If you do, you will succeed and you will wonder why it took so long! Though totally sympathetic to those who can’t get a good night’s sleep I am forever grateful that I do. I never take it for granted. My morning meditative practices involve Tao and a candle and what I call “quiet time” when my best ideas and acceptance of what life throws at me come. I am shocked at how many can’t sit still and do nothing. Far too many. Physical and / or mental restlessness is quite common and it is precisely for those people that meditation should be a tool to bring some calmness into their lives. One study showed that meditation, prayer and creating art have the same effect. I don’t set aside a regular time for deep silence, I weave it into my everyday life. That is a very effective of way of living indeed. it’s very interesting! and you’re right about it’s importance. it seems America has only recently (in the last years or so) got on board with what ancient wise India has known for years. ‘busyness’ and stress and little rest is not only aging and not healthful but even life shortening! my own sleep seems to go in cycles. and I have learned to stop fighting it. although thank goodness I got plenty of rest in my working years. no time for naps. they still feel like a luxury to me. and I feel sorry for those types like WWW mentions that always have to be doing something. can’t just sit still and do nothing. they’re literally terrified of it! they worry more about outward appearances than inner growth. You flatter me. I am however glad that you have found meditation useful. The more you practice, the better you get at it and also better overall. I am writing separately by mail to you about another book. Sleep is, no doubt, instrumental for both physical and mental health. I know this first hand as, some years ago, I nearly lost it, such was pressure on me, three/four hours max in every twenty four. Sleep deprivation does funny things. No wonder it’s used as an instrument of torture. However, sleep – as restorative as it is – can not be equated with the equilibrium meditation, practiced consciously, bestows. I know this because of the person closest to me (the Angel), who from day one has always not only slept well but been protective of his sleep, now practices meditation and yoga. It’s amazing. In fact I envy him. I envy him a wisdom and a discipline I have yet to master. Maybe I’ll get there one day. He has done one “guided” meditation with me. That was one hell of an experience. It was great, it was frightening. To emphasize my point: You sleep because your body demands you to. You meditate because your mind compels you to do so. And yes, as I said above, meditation takes commitment, sincerity, and most of all discipline. I hope that sooner than later, you get inspired by your son and that you too will get on to the bandwagon. It is nice to be preaching to the already converted! All the best. As you know, I tried meditation many years ago but couldn’t get the hang of it at all. I certainly benefit from a good night’s sleep though (i.e. eight hours). And I’m sleeping much better now I’ve retired and the stresses of work have disappeared. You are blessed. You may yet get motivated to try meditation again too which will double the benefit that you derive from sound sleep. I love and practise both daily, and I like the Dalai Lama’s quote. It’s easy to see the similarity between meditation and the half-awake stage of sleeping, when inspiration rushes in, whether we like it or not! At least on a good day. I somehow had the premonition that you were a practitioner. It is nice to know that I am able to sense this. Sleep is something so elusive to me these days – when I get a good night’s sleep I’m golden. Indeed, Secret Agent Woman. My heart goes out to you. By which I mean my heart goes out to you. Nothing empty in what I say. Whilst, for obvious and past reasons, I haven’t commented on your blog for a long time, I keep reading it. First there were, and are, so many ups in your life, now there is a down. Yes, sleep is golden. Even if dreams have ability to turn sleep into nightmares. I understand. I hope that it will soon be over and you will get back to your normal rhythm. My best wishes. I was introduced to meditation (TM) in 1973, at a time in my life when I was entering the teaching profession, finishing a degree, and raising a young family. I was under a lot of pressure, and extremely anxious that I couldn’t possibly do it all. Meditation calmed me, and gradually gave me the energy and strength to make some headway in my life. It was a long time ago, and I still meditate regularly, although not every day. I credit meditation for the courage I’ve had to tackle things I never thought were in the cards for me! I believe that you are fortunate to have found this wonderful tool so early in life. Your findings does not surprise me at all. I’ve never got the hang of it but of over my art/craft years – I have found myself lost in the rhythm of throwing shuttles at my loom or flick carding a beautiful washed fleece and then spinning of it…, and more recently – clipping up scraps of paper and attaching them to card etc…even when I’m photographing my greener or still-life objects – I’m gone somewhere quite different. 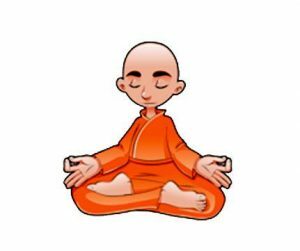 When a young college student I learned relaxation exercises which seem very similar to me as a form of meditation I’ve appreciated using though I don’t do so regularly. They’ve been of value to some of my patients, particularly for select voice problems and adopting appropriate respiratory behaviors. Interesting to consider the benefits of these various techniques, sleep issues and benefits. I also had a period of doing one of the Yogas that had some meditative qualities I found quite relaxing. Will read some of what you describe. 1. Whatever floats your boat. 2. I hope that you find them interesting. 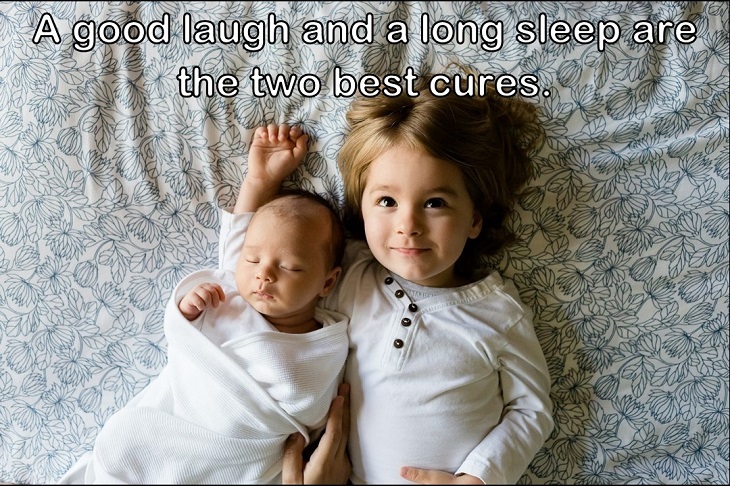 Fortunately, I get both of them: I meditate and I have a good night sleep. The downside to being so aware of life through meditation is that we begin seeing some truths behind the concocted reality (and maybe that is why many resort to religion or a spiritual path after practising meditation for a while: to cope with the Truth, which is not always pleasant). Nevertheless, I will never stop meditating (I started when I was 15 and I am still at it). Thank G-d we have several disciplines to be able to be in touch with His Essence/Light.